Has your kitchen started to look a little dated? Or are you just bored with it and want something new? If you already have tile, you may just need to replace it for a different color or style, which can make a big difference on the overall look of the kitchen. If you have bare walls or a cheap material like linoleum, upgrading to tile can make a dramatic difference to your kitchen’s look. If you are motivated to replace the tile because you think it is old and discolored, you may want to start by calling the professionals for tile and grout cleaning. You may not need to replace the tile at all. 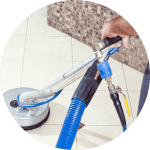 You may just need the Carefree tile and grout cleaners to use their specialized tools and skills to lift out layers of dirt and stains from years of misuse or neglect. 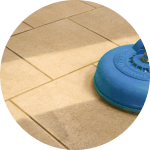 Sealing your tile and grout can protect it from stains, but many people do not keep up with the proper schedule for sealing, and stains get into the tile and grout. Regular kitchen tile cleaning won’t get those stains out. 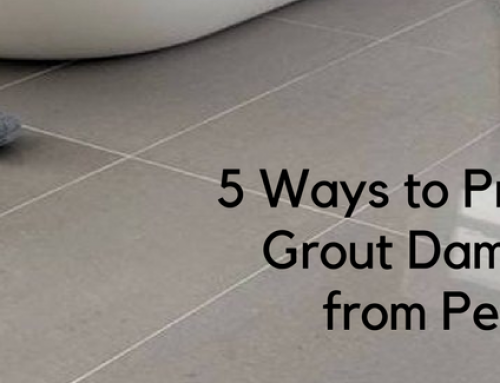 Dirty grout, particularly, can make tile look bad. A simple grout refresh can make the space look like new and can make the tile seem brighter and cleaner. Once you decide that new tile is the right choice, start researching the options. Tile comes in all kinds of materials, such as ceramic, porcelain, travertine, marble, slate, and other types of natural stone. Some of these materials are more durable than the others. For example, Ceramic will be more vulnerable to scratching from the sand and pebbles you are likely to bring in on your shoes, while slate will take a beating before it shows any signs of wear. 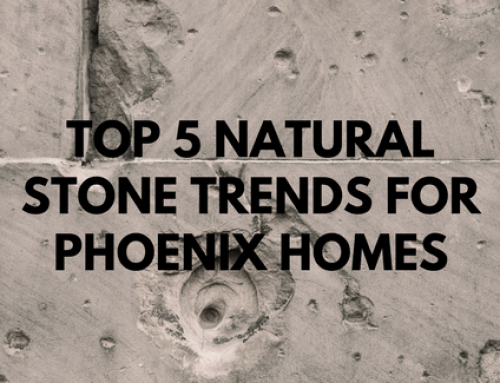 Phoenix also experiences some temperature extremes, so you need a tile material that can withstand the expansion and contraction with cracking or otherwise becoming damaged. This is especially important if the tile is being used outside, such as in a poolside kitchen. But even your indoor kitchen will be prone to extremes in temperature, so you need to take the proper precautions. Tile comes in all kinds of colors, textures, styles, and shapes. You can create thousands of different looks based on the choices you make. Even though you might like the way a certain tile looks, it also has to look good in your Phoenix kitchen. Make sure you are choosing tile characteristics that will look good with your cabinets, appliances, and other décor. If you aren’t sure how to whittle down the choices to get the right look for your kitchen, consider using a 3D interactive design tool that will let you preview the choices. Marble tile may look beautiful, but it will also cost you a pretty penny. If you have a large kitchen, that cost will quickly multiply. You need to understand how much tile costs by the square foot, as well as how much square footage you will need for your kitchen. Also know that labor will be an additional cost, and some tile will require more labor hours. For example, slate is a hard stone to cut and install, so it requires more labor, which will add to the cost. Set a budget for yourself, and then find the tile options that will fit within it both in terms of material costs and labor. Everyone wants to do the work on their homes themselves these days, but that’s the wrong choice if you are replacing tile. Sure, some tile may be very durable once it’s installed. But when you’re hauling it around, cutting it, and mortaring it into place, there’s a high probability that you will drop it, chip it, or even cut it incorrectly. You’re very likely to make a lot of mistakes that will waste your time and cost you more money. When you hire professionals for your kitchen tile restoration, you can be sure that the job will be done right and will be finished quickly. Plus, you won’t have to worry about uneven lines, messy grout, or other mistakes that are easily made as an amateur. Working with a professional can also help you think through the other issues to select the right tile for your kitchen and your budget. The professionals at Americhem can help with your kitchen tile restoration in Phoenix. We offer tile and grout cleaning to refresh your tile and make it look like new again. With our kitchen tile cleaning or restoration, you may not even need to replace your tile. You’ll keep the look you love and save yourself a lot of money. Contact us today to learn more or to get an estimate. 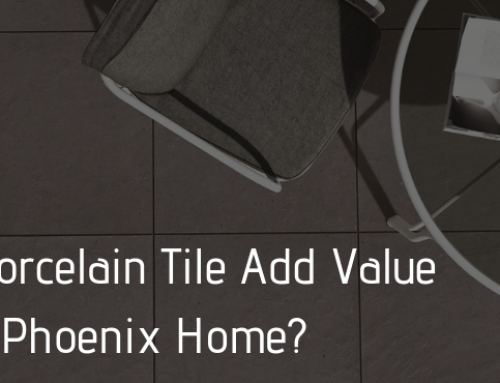 Will Porcelain Tile Add Value to My Phoenix Home? 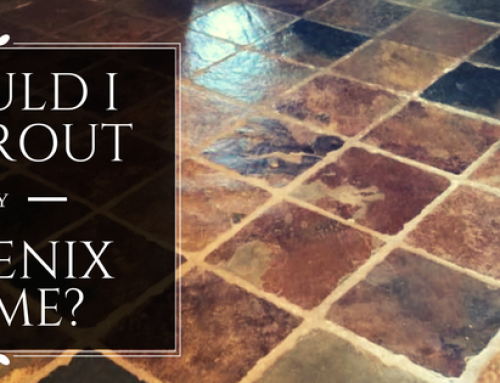 Should I Re-Grout My Phoenix Home?